Nusa Lembongan is a natural and scenic island situated just off the southeast coast of Bali. Along with two other islands, Nusa Penida and Nusa Ceningan, have formed a beautiful cluster of islands. The cluster is separated by clear waters and rich in biodiversity. These islands are under the administration of Nusa Penida District, Klungkung Regency. Nusa Lembongan consists of two villages, Jugutbatu Village and Lembongan Village. The island has astounding scenery and unspoiled hills, beaches (Dream Beach, Jugut Batu, Mushroom Bay, and Devil Tears), mangrove forests, caves, and tourism activities such as Water Sport, Surfing, Snorkeling and Diving. In addition, Nusa Lembongan is also known as one of the seaweed producing centers and at the same time has made Bali Province as one of the main seaweed producers in Indonesia. It is an export commodity used for production of agar and carrageenan products. 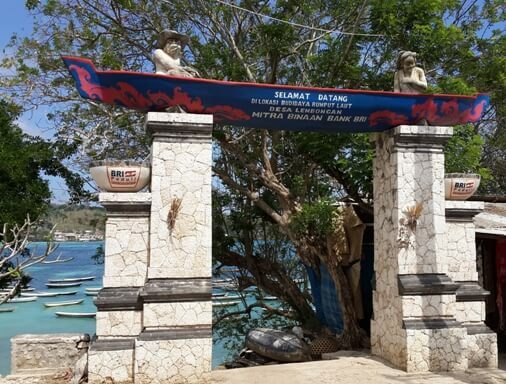 To get to Nusa Lembongan can be done by sea with a fast boat from Sanur, Kusamba, or Padang Bay. Once arrived in the southern part of Nusa Lembongan, you will be greeted by the activities of seaweed farmers. They use traditional outrigger boats to planting seeds, maintaining and harvesting seaweed. Yes, seaweed is everywhere. The traditional boat, seaweed farming and the natural drying process are a daily sight here and have become an attraction for visitors. 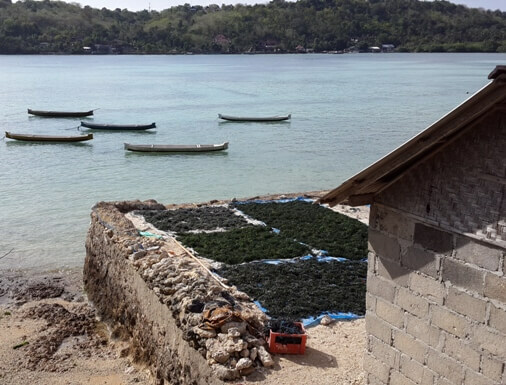 Seaweed cultivation activity is the livelihood for most of the people in Nusa Lembongan. The cultivated seaweed is a type of Eucheuma Spinosum and Eucheuma Cottoni. This island has crystalline sea water and certain current, which is suitable for seaweed cultivation. In general, this is a family run business that involves all members of the family and still uses simple technology during the process. 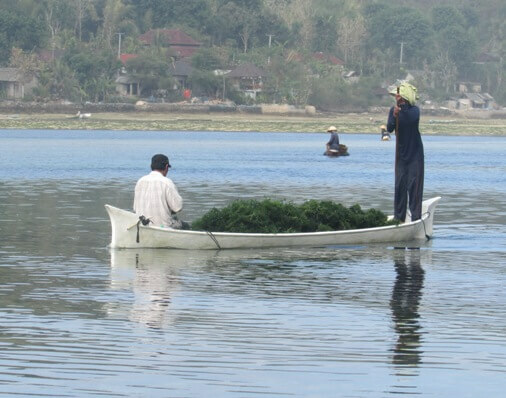 Seaweed cultivation is considered to have been able to improve the economy of people in Nusa Lembongan and reduce the exploitation of fish and other marine life. However, farmers still face the issue of crops handling. At harvest season the supply of seaweed is abundant, and the price at the collectors drops. This condition makes the seaweed farmers helpless. 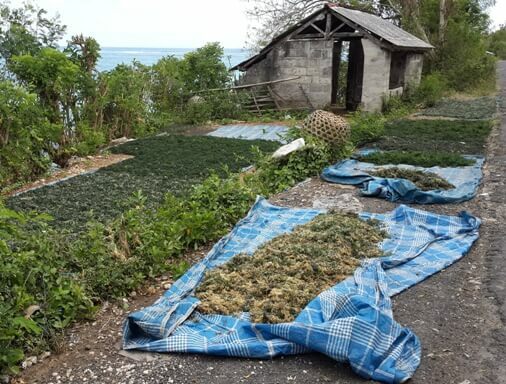 Seaweed farmers in Nusa Lembongan already have a certain group in terms of seaweed cultivation. One of the government banks, Bank Rakyat Indonesia (BRI), has conducted a partnership program with seaweed farmers through this farmer group. Some groups have processed seaweed into products such as: beverages, dodol, crackers, jams and others. This can be an additional income for family apart from the cultivation.